This book critically investigates the pervasiveness of anthropomorphised animals in popular culture. Anthropomorphism in popular visual media has long been denounced for being unsophisticated or emotionally manipulative. It is often criticised for over-expressing similarities between humans and other animals. 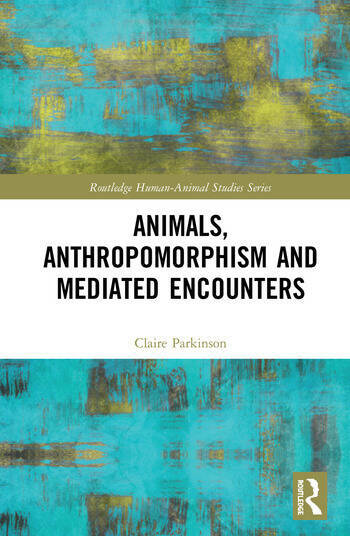 This book focuses on everyday encounters with visual representations of anthropomorphised animals and considers how attributing other animals with humanlike qualities speaks to a complex set of power relations. Through a series of case studies, it explores how anthropomorphism is produced and circulated and proposes that it can serve to create both misunderstandings and empathetic connections between humans and other animals. This book will appeal to academics and students interested in visual media, animal studies, sociology and cultural studies. Professor CLAIRE PARKINSON is Professor of Film, Television and Digital Media and Co-Director of the Centre for Human Animal Studies at Edge Hill University. Her research interests cover media, film and Animal Studies. Her publications include the books Popular Media and Animals and Beyond Human.